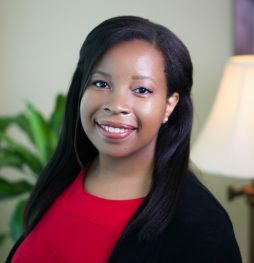 Tori Foster serves as a Research Analyst at McAllister & Quinn, primarily serving clients in the Nonprofits & Public Agencies and Higher Education practice areas. In this capacity, Tori provides research and analytical support on a range of legislative and policy matters, and monitors appropriations to assist clients in strategizing optimal approaches to government outreach and grant-seeking. Tori also conducts federal and foundation grant prospecting to help clients pursue funding opportunities that most directly align with their strengths and long-term strategic priorities. Furthermore, she provides project management support for client grant proposal development. Prior to joining McAllister & Quinn, Tori interned for the U.S. Equal Employment Opportunity Commission where she gained experience in labor disputes and federal mediation processes in the Alternative Dispute Resolution Unit. Tori also interned with the Bank of America Student Leaders’ program where she collaborated with local nonprofits to create a county-wide youth engagement program. Tori graduated from Emory University with a B.A. in Political Science and Women’s, Gender, and Sexuality Studies.